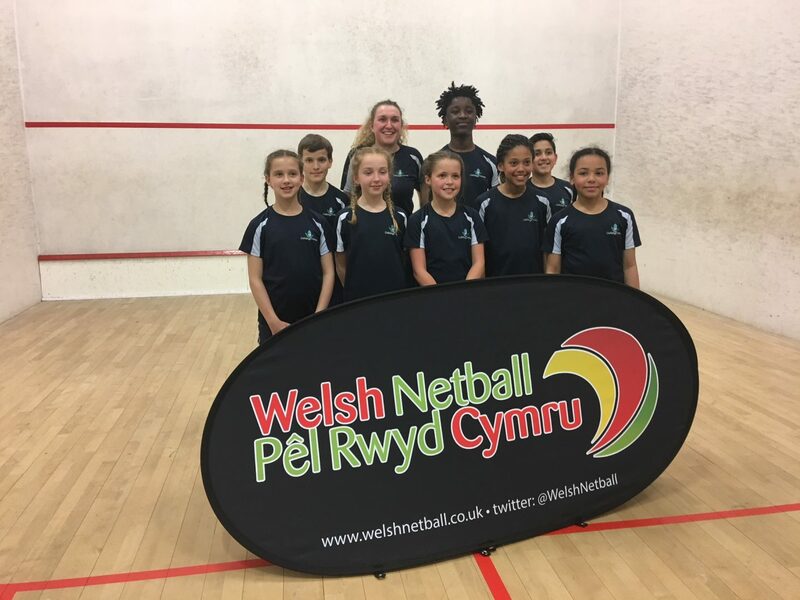 On Thursday the 26th of April the Oakleigh House netball team set off for the Welsh Finals in Merthyr Leisure Centre. There were 14 schools taking part from all over Wales, each team representing an area of Wales. We were very excited to get this far and full of anticipation as we had played all the schools in Swansea and were still unbeaten. Our first game was against Hawarden. We were incredibly nervous and feeling the whole range of emotions. Mrs Hartnoll’s words to us were “Go out there and show them why we are here. Enjoy yourselves and wear the badge with pride”. The game was very fast and competitive; Malachy controlled the centre third, catching any overhead passes and a goal each for Emma and Ruby and Hawarden scored one. A fantastic 2-1 win. Our second game was against Bro Morganwg. This team came at our defence very fast. They sneaked a fast goal past Orphee and Stephanie got pulled up for obstruction. But we played an outstanding defensive game with amazing teamwork. Our third game was against Castellau. We changed our game as a lot of their players were very tall. We moved the ball very quickly. Umar used small sharp passes back and for with Amie. Emma scored 2 fantastic goals from the edge of the semi-circle. Ruby picked up the ball fast off Umar scoring another impressive goal. Final score 3-0. We had only 15 minutes to get a drink and talk about the next match. Amie and Umar played small fast passes in the centre third and pushed forward to get the ball to Emma to score two fantastic goals in the first half. After halftime Rougemont came very fast at our defence. Deia made a number of intersections and worked with Orphee to get the ball quickly back down to the semi-circle with Emma and Ruby scoring another goal each. Final score 4-0. With two more games to go we were second in our group and 3rd overall. Llangunnor Primary team had very tall players, so we chose to use small sharp passes but also bounce passes in the game. Deia, Stephanie and Orphee did a fantastic job holding the ball well away from our goal. The game was very fast and the officials were blowing up for everything. The players felt under a lot of pressure. Ruby was very unlucky not to score, the ball rebounding off the back line twice. But we kept pushing forward and won 3-0. We were not looking forward to our last game as Penygloddfa had beaten everyone else that day. We sat down and observed them ready for the last match. We spoke about using small sharp passes using the outside of the court and pulling Orphee forward for the height. At this point Penygloddfa were leading us by 1 point. The game was explosive and fast. Penygloddfa scored the first two goals their GS was very tall and they were using long passes. Malachy intercepted the ball in centre third, passing the ball to Amie straight to Emma and straight into goal 2-1. At half time the children decided they needed Steph and Orphee to double mark the GS. Deia and Malachy held the ball up high in court and used fast sharp passes to get it to Emma. Ruby supported under goal for any rebounds bringing us back to 2-2. Emma and Ruby had a few attempts at goal, catching the post each time. There were 3 minutes left on the clock. The ball was being played a lot in the centre third both teams finding it hard to get it into either goal. Penygloddfa quickly passed the ball low against Steph and found the goal – it was 3-2. One minute on the clock the children looked fierce and ready. They had to get a draw. Emma moved forward fast passing the ball back to Deia, who moved up to the centre third line using Amie and Malachy as support. Malachy threw a quick overhead pass to find Emma right under the goal! Score! We are back in it 3-3. What a fantastic game. Unfortunately, we just missed out on the final but what a fantastic day. Overall we came third in our group and fifth in the whole tournament – a brilliant achievement for the team and our coach Mrs Hartnoll.